Video: PBS Documentary Chasing Shackleton Preview. Video: Tim Jarvis TEDx Adelaide. Video: Tim Jarvis - Science Rewired. Tim Jarvis is an environmental scientist, author, adventurer and public speaker with Masters degrees in environmental science and environmental law. He is committed to finding pragmatic solutions to major environmental issues related to climate change and biodiversity loss. He uses his public speaking engagements, films and books about his expeditions/work to promote progress thinking in these areas. Tim also works as a sustainability adviser on multilateral aid projects in developing countries for organizations including the World Bank and Asian Development Bank and is a Senior Associate of global engineering firm Arup. Jarvis has undertaken unsupported expeditions to the world’s most remote regions, and has a long history of working with sponsors and the media. Expeditions include to the South Pole, High Arctic, across Australia’s largest desert, the Great Victoria and retracing the polar journey of Sir Douglas Mawson using 100 year old gear and equipment and starvation rations as Mawson did in 1913. The documentary - Mawson Life and Death in Antarctica was flagship of the Film Australia ‘Making History’ series, and fronted Channel 4’s highly acclaimed ‘Edge of Endurance’ series in 2007. Expedition patrons were Australian Prime Minister the Hon John Howard and Sir Ernest Shackleton’s grand-daughter the Hon Alexandra Shackleton. In 2013, Jarvis led the first authentic retracing of polar explorer Sir Ernest Shackleton’s “double” - sailing a replica James Caird boat 1500kms across the Southern Ocean from Elephant Island, Antarctica to South Georgia and climbing over South Georgia’s mountainous interior using the same rudimentary equipment, period clothing and technology as Shackleton. Regarded by many as the greatest survival journey of all time this is the first time since Shackleton that anybody has been able to authentically recreate it. A Discovery Channel/PBS documentary film and best-selling book Shackleton’s Epic - Recreating the World’s Greatest Journey of Survival (William Morrow) have been made about the expedition. 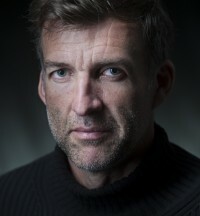 After almost two decades of polar travel, and over twenty years working as an environmental scientist Jarvis is a well-known public speaker, applying the lessons he has learned throughout his various expeditions to talk about leadership, problem solving, teamwork, change management and goal setting in an organisational context. In addition to Shackleton’s Epic Jarvis is author of The Unforgiving Minute, Mawson: Life and Death in Antarctica the book released in conjunction with his international documentary film of the same name and officially endorsed by the United Nations Environment Programme in 2009 and co-author of the academic book The Frozen Planet jointly released with Sir David Attenborough’s BBC TV series. Jarvis holds the record for the fastest unsupported journey to the South Pole and was awarded the Australian Geographic Society’s ‘Spirit of Adventure’ medal for his kayak journey across Australia’s largest salt lake, Lake Eyre in 2004. He was voted the Australian Adventurer of the Year for 2013 and Conservationist of the Year 2016 (Australian Geographic Society) – the first person ever to receive both awards. Jarivs was conferred a Member of the Order of Australia (AM) for services to environment, community and exploration in the 2010 Australian honours list and was made a Fellow of the Yale World Fellows Program, 2009 based on his international leadership in the field of environmental sustainability. He received the Sydney Institute of Marine Science’s Emerald award (their highest) for 2013 for services to the environment, and received the prestigious Royal Institute of Navigation’s Certificate of Achievement as Expedition Leader of the Shackleton Epic Expedition Team. He was voted Classic Boat Magazine’s Person of the Year for 2014, and is Patron of Nature Play SA – an organisation established to increase the time children spend in unstructured play in nature to improve fitness, problem solving ability, and emotional resilience. Jarvis is a board member of Australia’s leading conservation-focused zoo, head of the adventure advisory panel and on the advisory board of the Australian Geographic Society and current explorer in residence at the Australian Museum. In November 2014 he was made Global Ambassador to international sustainability NGO WWF. Jarvis received the prestigious Bettison James award for documentary film making for 2016 for his latest project 25Zero that highlights climate change through the plight of melting equatorial glaciers. “Tim exemplifies what commitment to biodiversity conservation means. He has a global appeal with his signature style and exploration based story telling. We are delighted to be affiliated with Tim at Fauna & Flora International. We had the distinguished privilege of having Tim share his enactment of the Shackleton epic to an audience gathered to celebrate FFI’s 110 years of biodiversity conservation and a decade of growth in the United States in the fall of 2013”. "Tim did a fabulous job of motivating over 100 Ernst & Young Partners and Staff, with a vivid and passionate account of his Shackleton expedition. Tim eloquently told his story, and was able to draw clear and relevant linkages between his harrowing exploration and the business world. His presentation was relevant, engaging and very memorable for all who were fortunate enough to be there. We will be looking for opportunities to work with Tim again in the future and we wish him every success with his next venture. A truly inspiring story which our team will not easily forget. Thanks again!" "There are not many people who can speak on leadership in challenging times, as Tim can. Tim Jarvis is not only a proven inspirational leader of our day who has an interesting mix of academia and adventurous spirit, he is a wonderful, caring, and engaging individual who although has walked on roads less travelled, has achieved the unachievable and consults with authoritative bodies, it is obvious he has not lost the ‘common touch’." "Tim spoke at our conference dinner and was an engaging and stimulating speaker. He manages to weave amazing tales of human endurance with humour and a serious message about the challenges we collectively face in addressing climate change. Tim left the audience feeling positive and inspired – a highly recommended speaker." "Tim was the perfect opening speaker to our workshop. He inspired our group with his personal Polar projects and experiences, showing them that big ideas can be made into reality. His key message stayed with the participants throughout the workshop, enabling them to channel the 'thinking is good, doing is better' philosophy into innovative thinking in sustainability." Tim completely engaged our audience, including members and guests of The Adelaide Network, and his inspiring story had us on the edge of our seats. He was good-natured in his responses to the dozens of questions thrown at him from all directions, on topics that ranged from leadership to childbirth to sewing reindeer pelts. One of our guests summed it up in her feedback: A thoroughly interesting night. What a lovely guy and what amazing things he has achieved. Brilliant, courageous and entertaining. Tim Jarvis was the guest speaker at the RANZCO Eye Foundation’s 10th Anniversary Dinner. Tim’s inspirational tales of his polar expeditions had the audience mesmerised – there were 240 guests and you could have heard a pin drop. We also really appreciated Tim providing his time in support of eye health and donating an auction prize, which achieved the highest bid on the night. -- Jacinta Spurrett, CEO, RANZCO Eye Foundation. Tim Jarvis held a full house audience of 170 adults and children spellbound at the Royal Geographical Society's Singapore branch on 1st June 2012, with a riveting account of his polar expeditions, how the lessons learned from these experiences can be applied to everyday life, and his work as an environmental scientist with the consulting engineering firm Arup. Ranging from his plans to re-enact Shackleton's epic rescue mission across the Southern Ocean in a small boat in 1916, through practical tips on how to scare off an inquisitive polar bear, to his personal life philosophy, Tim's talk was eye-opening, fascinating and inspiring for everyone in the room. 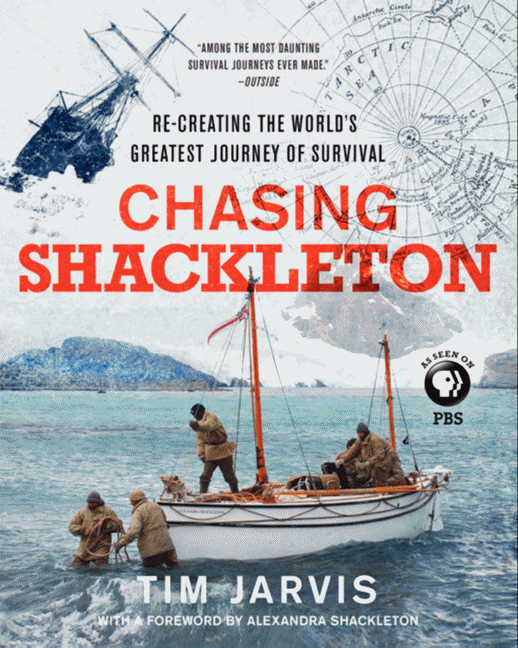 “…Tim Jarvis superbly recounts his successful re-creation of Shackleton’s journey faithfully almost to the last detail. […] Lavishly illustrated and gripping from the very first word, ‘Shackleton’s Epic’ is an absolute must for the bookshelf of anyone with an even passing interest in Sir Ernest Shackleton”. Here’s a book whose subtitle employs “world’s greatest” accurately, speaking of Ernest Shackleton’s astonishing 1916 Antarctic rescue. Author-adventurer Jarvis has re-created in nearly every detail that harrowing trip (“in a replica James Caird using traditional navigation” and “period gear and equipment”) across the Southern Ocean from Elephant Island to South Georgia and up and down its mountainous terrain. Though others have tried this and failed, Jarvis, with help and patronage from Shackleton’s granddaughter Alexandra and a team of brave, seaworthy men, made it, and the expedition’s nuts and bolts (financial, emotional, and literal) are detailed here, accompanied by fascinating quotes from the accounts of members of Shackleton’s original journey. Nearly every page of this oversize book features a map, or an illustration, or a period or contemporary photo, from close-ups of gnarled hands stitching the replica sails and the boat-making process to the seagoing men sleeping, just barely, under reindeer-skin blankets. The PBS documentary tie-in will flesh out this thrilling tale, but the book itself is a treasure-trove of minutiae and derring-do for both explorers and those who will simply gaze in wonderment.